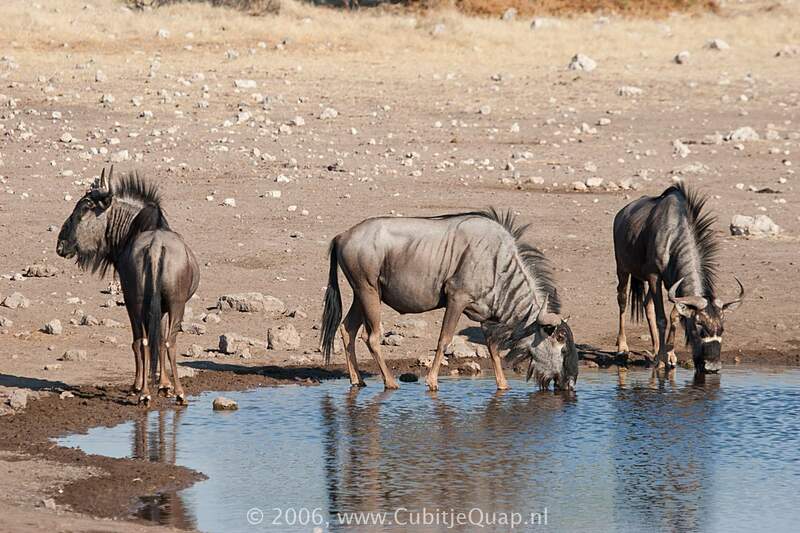 The Nyassa wildebeest has the smallest body and horns of any common wildebeest. The general color is brownish grey (browner than in other races), the face is mainly chestnut and the beard is black. Most specimens, though not all, have a conspicuous white facial band below the eyes. Unusual is Namibia. Common distribution: Southeastern Tanzania, and north of the Zambezi River in Mozambique. Formerly occurred in southern Malawi, but is extinct there now.